Kansas City, Mo. On Friday, June 3rd, 2016 from 5-10 PM the Todd Weiner Gallery will host an exhibition opening for Arcadia by Kansas City native Ian Young, and in the second gallery space Absolute Chic by Christine Buchholtz, which will run through Saturday, June 25th, 2016. 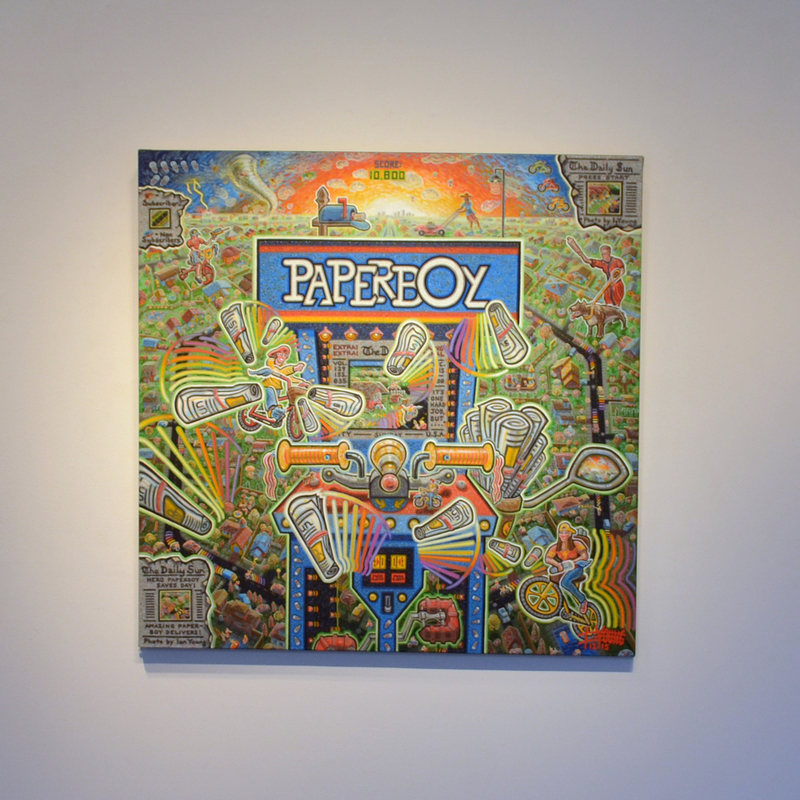 Provocative, humorous, cynical are three words used to describe Ian Young’s reconfigured larger than life games. Young’s work runs between fantasy and reality without conceding to either. His socially engaging, multi dimensional works expand our perception of infinite play, order and the unexpected found in both worlds. Young’s work draws inspiration from various games. He looks to classical arcade and video games, to popular board games of strategy and logic. Tetris is a nostalgic rendition of the addictive puzzle game embracing our universal desire to create order out of chaos. 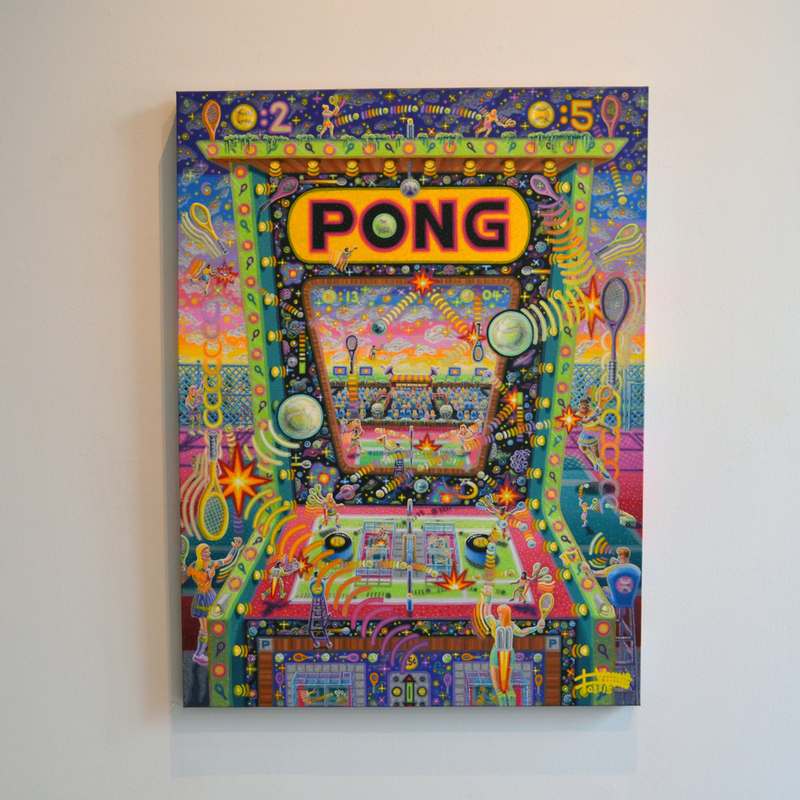 The classical arcade game reflects his talent not only in painting, but in his conviction as an artist, to combine strategy, reflection and imagination in each composition. Scandinavian artist Christine Buchholtz’s style draws inspiration from the bright colors of street and pop art and the contoured, straight lines and lightness of Scandinavian design. By playing with perspective, proportionality and color, her latest series, Absolute Chic, highlights what is most important in her work, the emotion and expression conveyed by her models. While derived from a photographic source, works such as Smoke are concerned primarily with a feeling or suggested moment in time. Subversive in content, the accuracy of the model is secondary to her overall process.